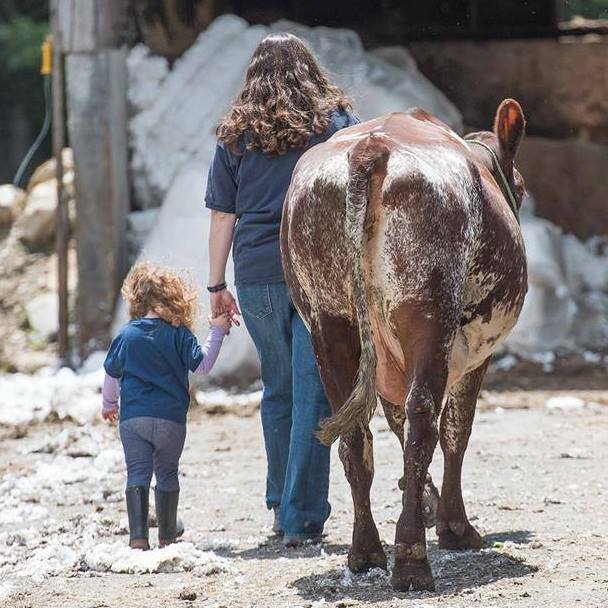 Echo Farm seeks to foster a public appreciation for the New England dairy farmer through the distribution of the farm's all natural dairy products and it's educational tourism facilities. We believe that a strong dairy industry in New England is vital to maintaining a desirable quality of life for the region. Today, we milk 80 cows and have more than 160 animals. In the spirit of a true partnership, the herd has remained half Jerseys and half Milking Shorthorns. Although our herd has grown since those original six cows, we have not changed the way we treat our animals (we have even been known to bring newborn calves in the house on cold winter days). We started the farm with the intent of being unlike any other farm. Our cows have names, not numbers; in fact, they are treated like members of the family. We pride ourselves on providing our cows with a pleasant and loving environment. They show their appreciation by producing award winning, great tasting, high quality milk, to which we add all natural ingredients to bring you our premium line of puddings.